Donate to SSC's New Year's pledge drive and support Secret Science Club 2019. No matter the season, Secret Science Club is a place where science rockets into the night and shines. This year Secret Science Club has gone on an amazing, curiosity-fueled ride, presenting public talks on astrophysics, microbiology, brain science, paleontology, robotics, climate & environmental science, the genome, and more. We want our 2019 season to be even more awe-inspiring and science-filled! Please join us in celebrating science as a vital part of culture & public life and standing up for science as we head into the future. To make a donation and support Secret Science Club 2019, visit our secure pledge page. You can get cool pledge prizes, too (T-shirts, totes, secret SSC swag, and more!). For those of you who don't want pledge rewards, click here for faster check out. Thanks to all the brilliant scientists who presented at SSC this year, the amazing people at the Bell House, our talented friends at Symphony Space, our kind & dedicated volunteers and advisors, and our wise partners at the Albert & Mary Lasker Foundation, the Metropolitan Opera, EST/Sloan, and the NYC Department of Cultural Affairs. And thanks to you—our indomitable, wonderful, ever-curious audience members. Cheers to everyone for supporting SSC's mission! Happy holidays! Secret Science Club is a program of Science Live Productions, Inc, a 501(c)3 nonprofit organization, and your donations are tax deductible to the full extent permitted by law. It’s a Wonderful (Quantum) Life, Secret Science Club presents Physicist & Author Chad Orzel, WEDNESDAY, December 12, 8PM @ the Bell House, FREE! Raise a glass to all that’s weird and wonderful in our world with Physicist & Author Chad Orzel at the Secret Science Club’s holiday edition! Quantum physics is often thought of as abstract, exotic, and a little bit freaky. While classical physics gives us sensible laws governing the macroscopic world—why a ball rolls downhill and how a plane flies—quantum physics gives us particles that are actually waves, “spooky” action at a distance, and Schrodinger’s unlucky cat. The subatomic world is a shifty, uncertain place. 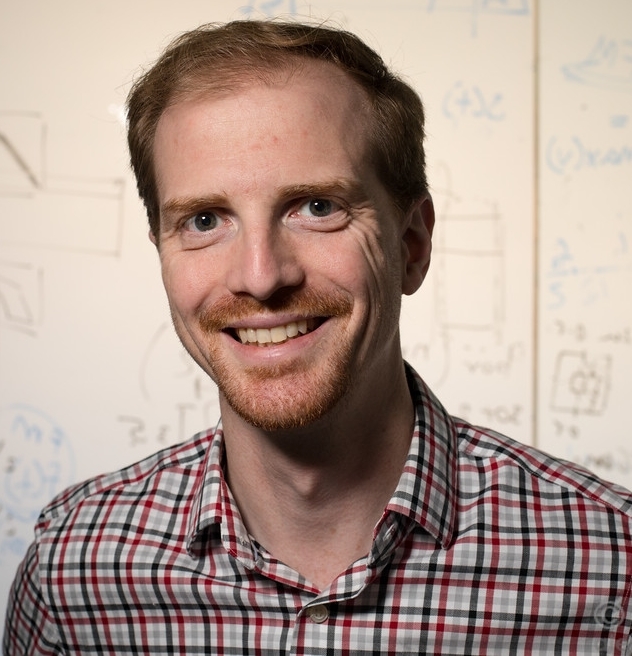 But never fear, physicist Chad Orzel is here to unpack the quantum weirdness. 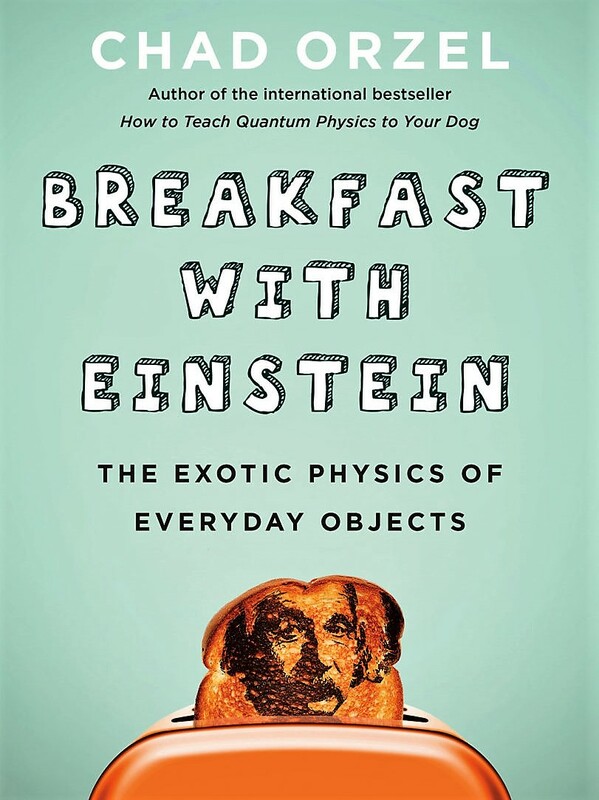 At this holiday edition of the Secret Science Club, Dr. Orzel jumps off from his new book Breakfast With Einstein to explore the quantum phenomena that animate our everyday reality. Don’t miss a nanoparticle of this awesome talk! 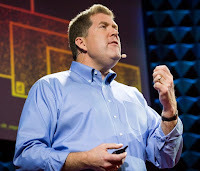 Chad Orzel is a professor of physics at Union College, a pop-science writer, and the co-creator of a series of TED-Ed videos on quantum physics that have been viewed millions of times. 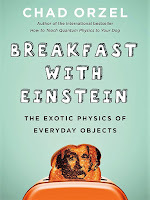 He is the author of four books, including the best-selling How to Teach Quantum Physics to Your Dog and his latest Breakfast With Einstein: The Exotic Physics of Everyday Objects (named one of the “Best Science Books of 2018” by the Times of London). This holiday edition of the Secret Science Club meets Wednesday, December 12, 8pm @ the Bell House, 149 7th St. in Gowanus, Brooklyn (between 2nd and 3rd avenues). Subway: F or G to 4th Ave; R to 9th Street. Our bodies—and the bodies of all animals—are fascinating and complex. The human body is made of over 35 trillion cells, and there are hundreds of different types: Brain cells, Blood cells. Muscle cells. The list goes on. All are essential to our living, breathing, functioning selves. But among those cells, there is only one kind that is considered “immortal:” the germ cells. Formed in the embryo, these all-powerful cells produce the eggs and sperm that carry our DNA, and allow us to keep on grooving, generation after generation. At the next Secret Science Club, biologist Ruth Lehmann explores the mysterious lives of cells and their role in reproduction. She asks: What’s up in the embryo? How and when do germ cells form? In what ways are these “immortal” cells radically different from other cells in the body? How do germ cells get romanced into making eggs and sperm? Is there a matchmaking molecule? Ruth Lehmann is a developmental biologist at the NYU School of Medicine, where she is Director of the Skirball Institute of Biomolecular Medicine, Chair of the Department of Cell Biology, Laura and Isaac Perlmutter Professor of Cell Biology, an Investigator with the Howard Hughes Medical Institute, and Director of the Lehmann Lab. The author of over 150 scientific papers, Dr. Lehmann is a member of the National Academy of Sciences and the American Academy of Arts and Sciences. This edition of the Secret Science Club, the 2018 Lasker Public Lecture in honor of Al Sommer, is sponsored by the Albert and Mary Lasker Foundation. The Foundation works to foster the prevention and treatment of disease and disabilities by honoring excellence in basic and clinical science, educating the public, and advocating for support of medical research.Yay! The Secret Science Club featuring Ruth Lehmann meets Monday, November 19, 8 pm @ the Bell House, 149 7th St. (between 2nd and 3rd avenues) in Gowanus, Brooklyn. Subway: F or G to 4th Ave, R to 9th St. Doors open at 7:30 pm. Please bring ID: 21+. No cover. Just bring your smart self. Secret Science Club presents “The Riddler” with Puzzle Master & Author Oliver Roeder, Tuesday, October 16, 8PM @ the Bell House, FREE! We’ve got your number! Come celebrate math, logic, and probability at the next Secret Science Club. 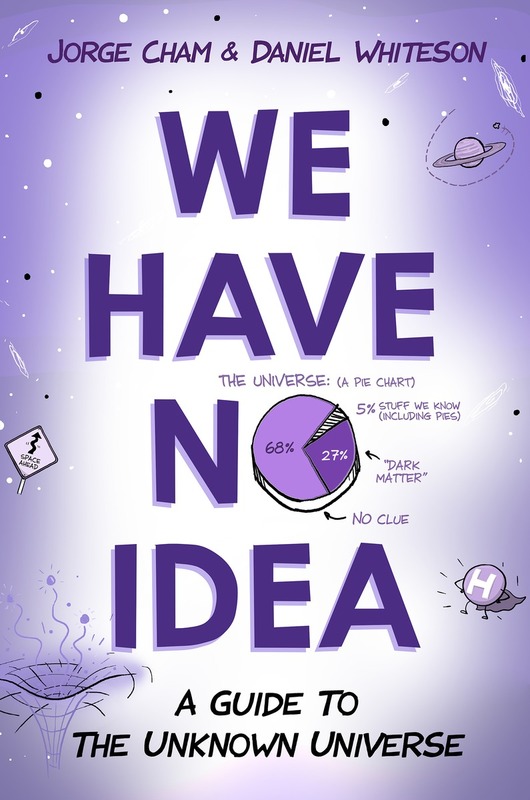 Puzzle master, game theorist and FiveThirtyEight columnist, Oliver Roeder shares the tricks to statistical thinking and every-day math, while beguiling us with puzzles from his new book, The Riddler. Oliver Roeder is a senior writer and puzzle editor at FiveThirtyEight, where he explores numbers in the news and presents brain-stretching math and logic puzzles. 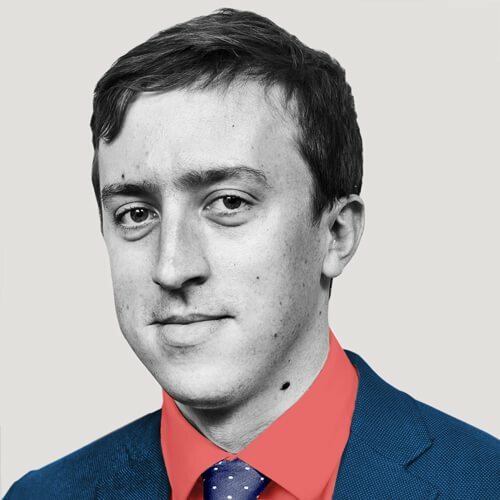 He holds a PhD in economics with a focus on game theory. Previously, he ran the quantitative research team at NYU’s Brennan Center for Justice. The Riddler is his first book. This sequential edition of the Secret Science Club meets Tuesday, October 16, 8 pm @ the Bell House, 149 7th St. in Gowanus, Brooklyn (between 2nd and 3rd avenues). Subway: F or G to 4th Ave; R to 9th Street. 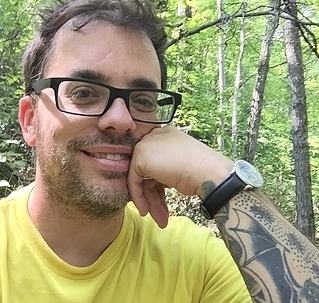 Secret Science Club presents Biologist and “X-Lab” Director Joao Xavier, Wednesday, September 19, 8PM @ the Bell House, FREE! When Antonie van Leeuwenhoek first saw bacteria through a microscope in 1683, he was amazed—tiny “animalcules” invisible to the naked eye were all around us. No one had known. Yet they were legion. 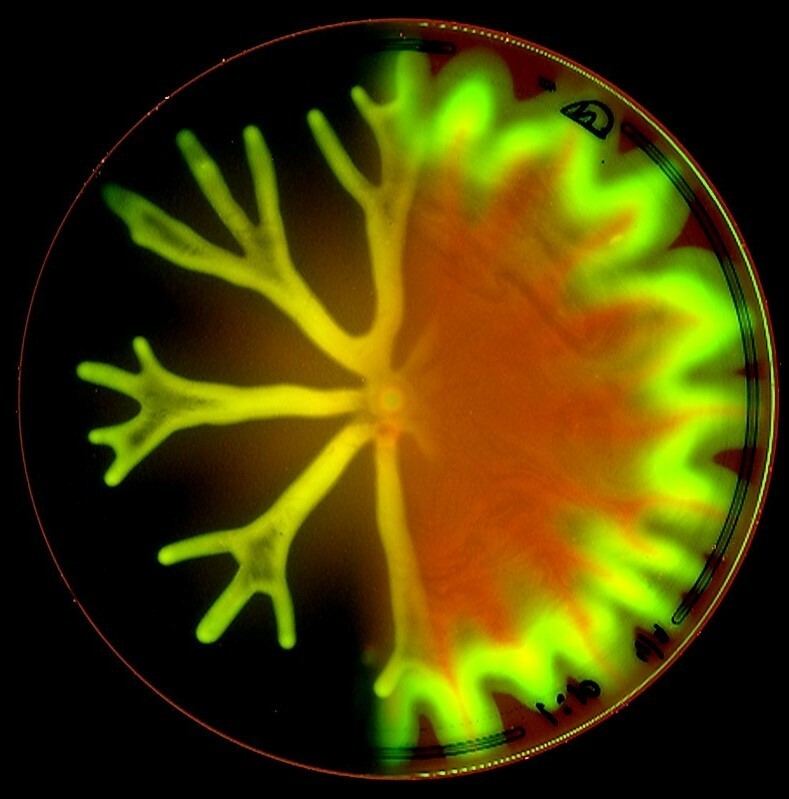 Centuries on, major microbial mysteries are still being uncovered and continue to amaze…. At the next Secret Science Club, we dive into the world of one-celled organisms with modern-day micronaut Joao Xavier. At his “X Lab,” evolution happens virtually overnight—and microbes grow faster, stronger, and stranger. More than a mere curiosity, the evolution, ecology, and social behavior of these "wee little beasties" could have major implications: One of the microbes Dr. Xavier studies, Pseudomonas aeruginosa, is considered one of the 10 most dangerous antibiotic-resistant bacteria on the planet. Knowing how these social microbes evolve, form communities, and “talk” to other cells could lead to new treatments for deadly infections. 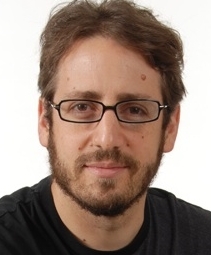 Joao Xavier is a computational biologist, associate faculty member, and director of the “X Lab” at the Sloan Kettering Institute, the experimental research arm of Memorial Sloan Kettering Cancer Center. 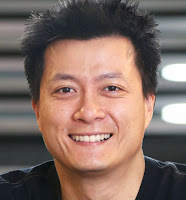 He uses computer models and experiments to research social interaction and evolution in disease-causing bacteria, biofilms, the ecological processes and metagenomics of gut microbiota, and how cancer cells interact with noncancerous cells. 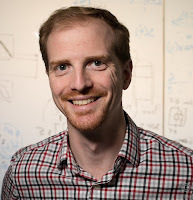 A recipient of a New Innovator Award from the National Institutes of Health, he has been a featured scientist in the New York Times, Quanta, and Wired. --Wiggle to grooves that wriggle! 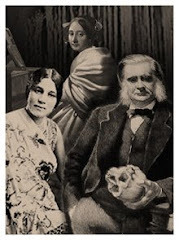 This experimental and “prettily a-moving” edition of the Secret Science Club meets Wednesday, September 19, 8 pm @ the Bell House, 149 7th St. (between 2nd and 3rd avenues) in Gowanus, Brooklyn. Subway: F or G to 4th Ave; R to 9th Street. Secret Science Club presents “Beyond Jurassic Park” with Paleontologist & Ant-ologist Phillip Barden Tuesday, August 28, 8PM @ the Bell House, FREE! 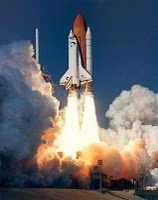 What happens to the human body when an astronaut blasts into orbit? Chris Mason wanted to know down to the molecular level. So he studied a pair of twins—one earthbound and one in space. In 2015, astronaut Scott Kelly spent 11 months on the International Space Station, while his identical brother Mark hung out on Earth. As part of the NASA Twins Study, Dr. Mason led the research comparing the twins’ “omics” (gene expression, transcriptome, metagenome, and more). At the next Secret Science Club, Chris Mason explores the physiological impacts of space travel, and how future research & technologies will be used to monitor, protect, and potentially repair astronauts’ cells and bodies during long space missions to the ISS, Mars, and beyond. Chris Mason is an award-winning geneticist and associate professor at Weill Cornell Medicine, as well as director of the WorldQuant Initiative for Quantitative Prediction. His NYC-based laboratory explores research topics, ranging from cancer genetics to microbe diversity in subway systems to the comparative DNA and RNA of working astronauts. 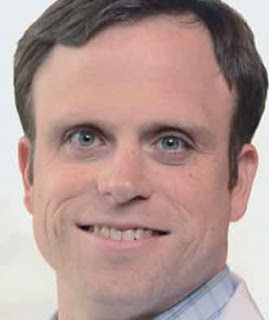 The author of over 150 scientific papers, Dr. Mason was named one of the Brilliant Ten by Popular Science and his work has been featured in the New York Times, Wall Street Journal, Time, and National Geographic and on PBS, CNN, and beyond. He is the co-founder of four biotechnology start-up companies and serves as an advisor to many others. This edition of the Secret Science Club meets Tuesday, May 15, 8 pm @ the Bell House, 149 7th St. in Gowanus, Brooklyn (between 2nd and 3rd avenues). Subway: F or G to 4th Ave; R to 9th Street. Love Is the Drug! Secret Science Club presents Neuroscientist Bianca Jones Marlin, THURSDAY, April 12, 8PM @ the Bell House, FREE! What’s on Bianca Jones Marlin's mind? In a groundbreaking study, Dr. Marlin showed how and where the hormone oxytocin—sometimes called the “love drug”—changes the brain. At the next Secret Science Club, she explores love, trauma, family bonds, epigenetics, and how brain research may lead to new treatments and cures. 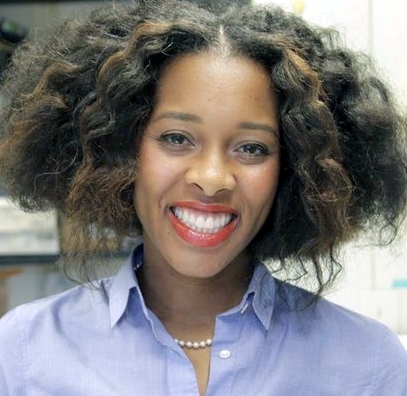 Bianca Jones Marlin is a neuroscientist and postdoctoral researcher at Columbia University’s Zuckerman Institute. In 2017, she received the STAT Wunderkinds award, recognizing the brightest young minds in life science, and was named a Simons Foundation Junior Fellow. 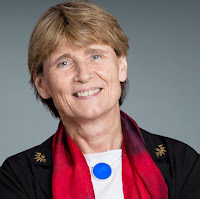 In 2016, she received the Lindsley Prize from the Society for Neuroscience for her work on oxytocin and how the brain adapts to caring for newborns. Dr. Marlin and her research have been featured in the Guardian, National Geographic, Scientific American, Los Angeles Times, and Discover. --Stick around for the scintillating Q&A! This brainy edition of the Secret Science Club meets Thursday, April 12, 8 pm @ the Bell House, 149 7th St. in Gowanus, Brooklyn (between 2nd and 3rd avenues). Subway: F or G to 4th Ave; R to 9th Street. Secret Science Club presents Social Neuroscientist Jay Van Bavel on “Our Partisan Brains” Monday, March 19, 8PM @ the Bell House, FREE! 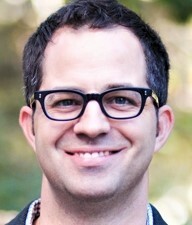 Jay Van Bavel is a social neuroscientist who explores the tribal tendencies in all of us. Lately he has been looking at political groups and partisanship in particular. Can our political ideologies influence not only how we vote, but also how we perceive reality? What is the social brain and how did it evolve? Are some people more genetically disposed to be “groupish” than others? How does the social brain affect decision-making—at both conscious and unconscious levels? What does neuroscience have to say about how our political ideologies originate? What conditions cause rival groups to work together? What drives groups farther apart? 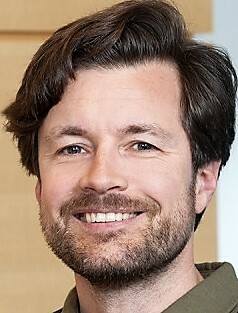 Jay Van Bavel is associate professor of psychology & neural science at NYU and director of the Social Perception and Evaluation Lab. His research examines how collective concerns—group identities, moral values, and political ideologies—can shape even the most basic elements of perception and evaluation. His work has been featured in the New York Times, Scientific American, Wall Street Journal, Quartz, and Washington Post. This mind-bending edition of the Secret Science Club meets Monday, March 19, 8 pm @ the Bell House, 149 7th St. (between 2nd and 3rd avenues) in Gowanus, Brooklyn. Subway: F or G to 4th Ave; R to 9th Street. Welcome to the Collective! Secret Science Club presents Biologist & Director of the Swarm Lab Simon Garnier, Monday, February 19, 8PM @ the Bell House, FREE! MONDAY, February 19, 8PM @ the Bell House, FREE! Bee Hives. Ant Colonies. Flocks of Birds. Schools of Fish. Animals that move—and even seem to think—as collectives exhibit uncanny behavior, swarming, murmurating, ebbing and flowing almost like liquids. Such natural phenomena have inspired scientists to create swarms of small robots that swim, crawl, and fly en masse. Alone, each of these robots is none too smart. But as a group? Their collective intelligence could solve all kinds of problems. In the future, robot swarms might build habitats on Mars, conduct search-and-rescue missions, or (gulp) autonomously attack enemies. At the next Secret Science Club, biologist Simon Garnier explores the history and potential of swarm robotics. Director of the Swarm Lab and professor of biology at the New Jersey Institute of Technology, Simon Garnier researches robot swarms, army ants, and socially networked slime molds to learn how intelligent collective behaviors (and not so intelligent ones) emerge in groups. He also considers the question of self-organization in nature—in everything from cells to human crowds. Dr. Garnier has been a featured scientist on Science Friday, the Guardian technology video series, National Geographic, Scientific American, and Mashable. This crowd-sourced edition of the Secret Science Club meets Monday, February 19, 8 pm @ the Bell House, 149 7th St. (between 2nd and 3rd avenues) in Gowanus, Brooklyn. Subway: F or G to 4th Ave; R to 9th Street. Frank T. Burbrink has traveled the world, researching snakes and discovering new species. On the island of Madagascar, he and his colleagues have studied an astonishing array of snakes, occupying every ecological niche, from freshwater to treetops. And these snakes have a variety of beautiful forms: A few have noses shaped like leaves. Others have skin the color of bumblebees. Still others are dusty red and cat-eyed. Around the globe, snakes exhibit mind-boggling variation, from garter snakes to reticulated pythons. Some live off little termites. Others can kill and devour an antelope. Dr. Burbrink asks: How does an animal with a seemingly simple head-and-tube body have so many different forms? What exactly are “species” and how do they diversify? And what threats—even existential ones—are facing snakes in the wild? Frank T. Burbrink is associate curator in the Division of Vertebrate Zoology at the American Museum of Natural History, principal investigator at the Sackler Institute for Comparative Genomics, and associate professor at the Richard Gilder Graduate School. The author of over 100 research papers, he has conducted fieldwork in Madagascar, Brazil, Panama, Japan, and the United States. He studies the evolutionary history of reptiles and amphibians, their ecology, and genetics. His research has been featured in the New York Times, Gizmodo, BBC News, and on The Limit Does Not Exist podcast. The next biodiverse edition of the Secret Science Club meets Tuesday, January 9, 8 pm @ the Bell House, 149 7th St. (between 2nd and 3rd avenues) in Gowanus, Brooklyn. Subway: F or G to 4th Ave; R to 9th Street.